Home » Viral Posts » A Truck Full Of Slime???!!! 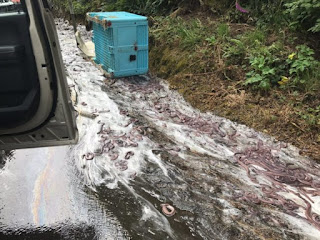 A Truck Full Of Slime???!!! I know I'm in the majority, but creepy crawly animals really freak me out. Frogs, lizards, snakes, you name it. 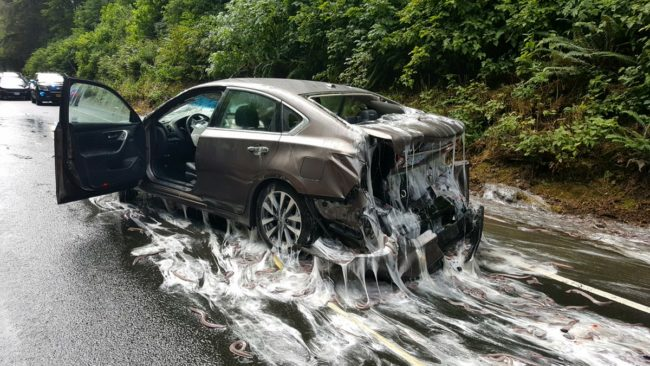 Eels are basically snakes of the water, so they count, too. Most people only ever interact with eels from behind the paned glass of an aquarium. In some countries, they're also considered a delicacy, so you may also find one on your plate. Where you don't expect to see an eel (or several thousand) is on the road, in your car, in Oregon. 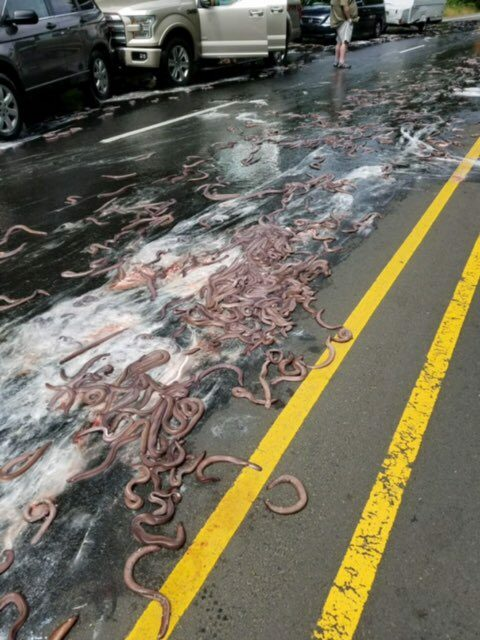 Last week, a truck hauling 7,500 pounds of hagfish, also known as slime eels, was traveling to export the fish to South Korea, where they're eaten. It didn't go well.